The 2 Bears - Raf Daddy and Joe Goddard (of Hot Chip fame) have done a minimix for Annie Mac's show on Radio 1 - and it's utterly incredible. Right, I'm off to Ibiza for a week, report coming up next week.... should I return in one piece. Sorry it's been a bit quiet of late, been busy times here @ Anglo Franko HQ. 1. Joris Voorn's latest offering... and its an abolsute belter!!! 2. Arman + A-Trak smash it again with prob one of the catchiest hooks in Christendom right now! New signings to Deconstruction Diagram Of The Heart make their debut with a synth enufused belter. Although th video isn't much to talk about, this track is an exciting sign of things to come. 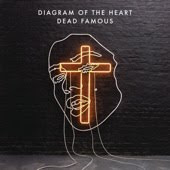 DIAGRAM OF THE HEART / DEAD FAMOUS from UFO on Vimeo. Lord only knows why we haven't blogged about these guys before, but hey, here they are. UK based Totally Enormous Extinct Dinosaurs, described as "playful electro underpineed by seismic bassline", list a load of totally enormous extinct dinosaurs in their MySpace band members. Of Course. Behind the mystery and eccentricity though lies some rather massive tunes. A sure fire hit on the festival circuit this summer. Totally Enormous Extinct Dinosaurs MySpace. Munk, In Flagranti, Illja Rudman and Midnight Jugger Turkish Prison remixes are about to, check em out on Beatport. A new take on her new single. Current album is helped out by Rusko on production duties, and when she's not busy killing gingers (joke) or volleying tirades at journos, she's generally creating some quite good tunes.